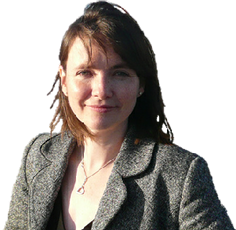 A baby is stillborn every other day in Wales and a further 2 babies die shortly after birth every week; Kirsty Williams AM, Leader of the Welsh Liberal Democrats, is therefore launching the Why17? Welsh campaign with the stillbirth and neonatal death charity (SANDS). Every day an average of ten babies are stillborn in the UK as a whole. Seven more die shortly after their birth. That's 17 babies every day. Sands believes that many of these deaths are potentially avoidable. Kirsty Williams said: "With one baby in every 200 being stillborn, the levels of stillbirths in the UK are shockingly high. This number is ten times the number of cot deaths, yet whilst numbers of cot deaths have drastically reduced in recent years, over the past 12 years there has been no significant improvement in stillbirth rates in Wales. "As a country we must stop accepting stillbirths as the norm, instead we must tackle this tragic trend. The aim of this campaign is to make sure that stillbirths and neonatal deaths are recognised as a major health issue in Wales." "The stillbirth or neonatal death of a baby is no less a death than the death of any other child and we must not treat it as so. With better care and targeted research many of these deaths could potentially be avoided. We are calling upon the Welsh Government to take action now to save these babies' lives."